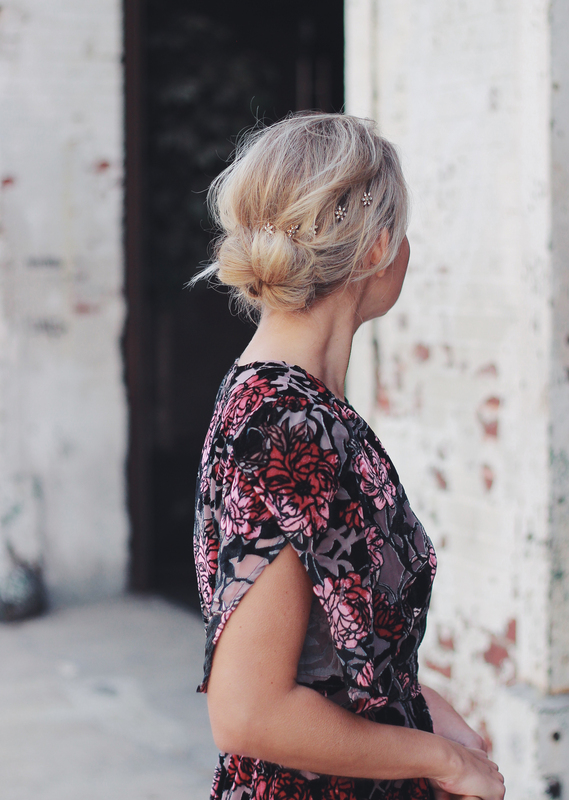 Earlier this week I shared 3 easy holiday hairstyles and I have to admit – this one was my favorite. 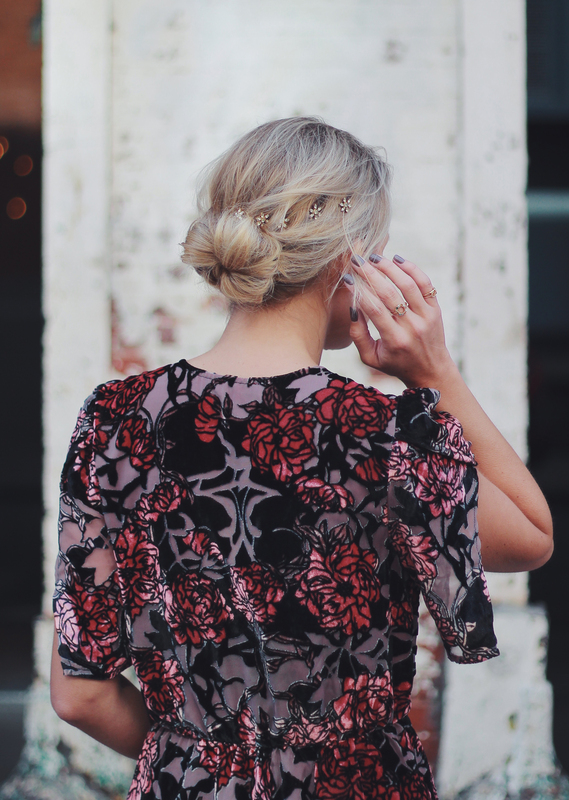 My hair stylist Sarah Rappolt and I pictured it being something perfect for a special occasion this Fall or holiday season, from a fancy Thanksgiving dinner to a date to see The Nutcracker to a December wedding invite. 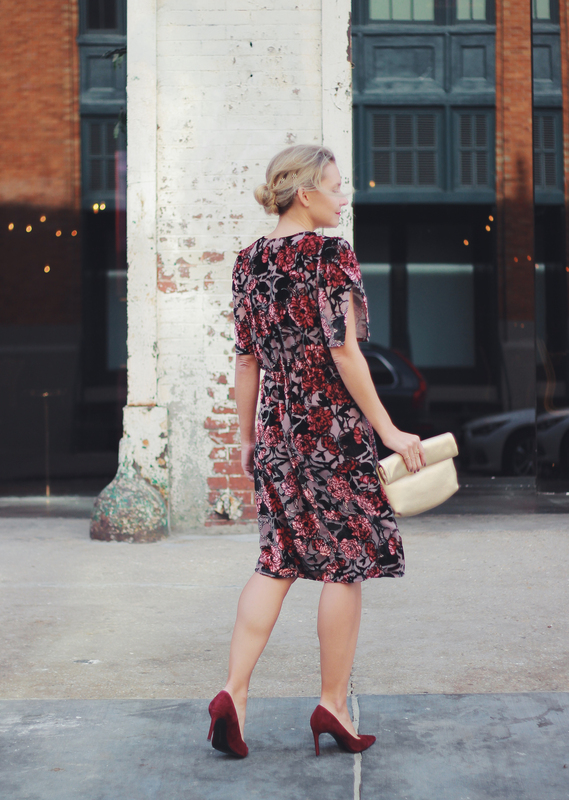 And this velvet floral dress seemed like the perfect pairing. 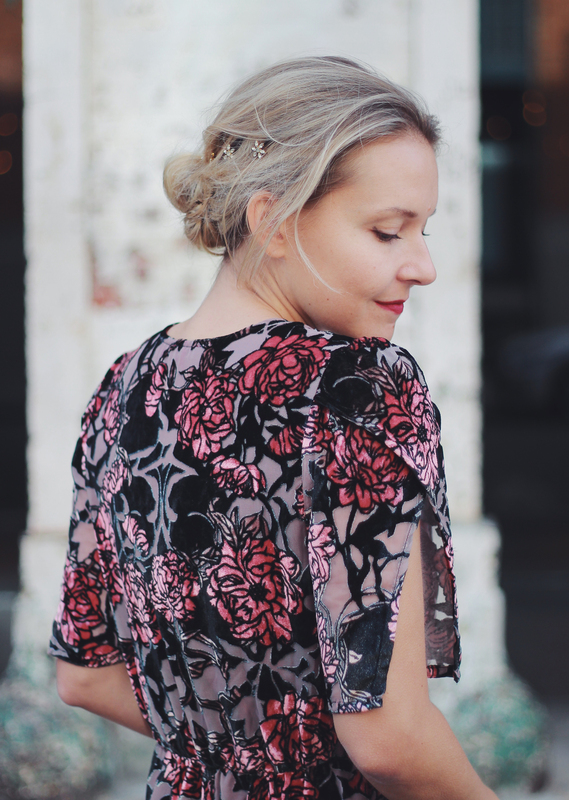 In a super flattering fit and heavy enough fabric to allow you a little bit of warmth this one is kind of a dream. Plus, I like that it feels like a romantic and subtle version of typical ‘red and green’ in soft rose and evergreen hues. Truth be told, I’ll likely be in this outfit on Thanksgiving day but if I can convince Adam to go see The Nutcracker with me this year – I’ll definitely be slipping back into this little number. 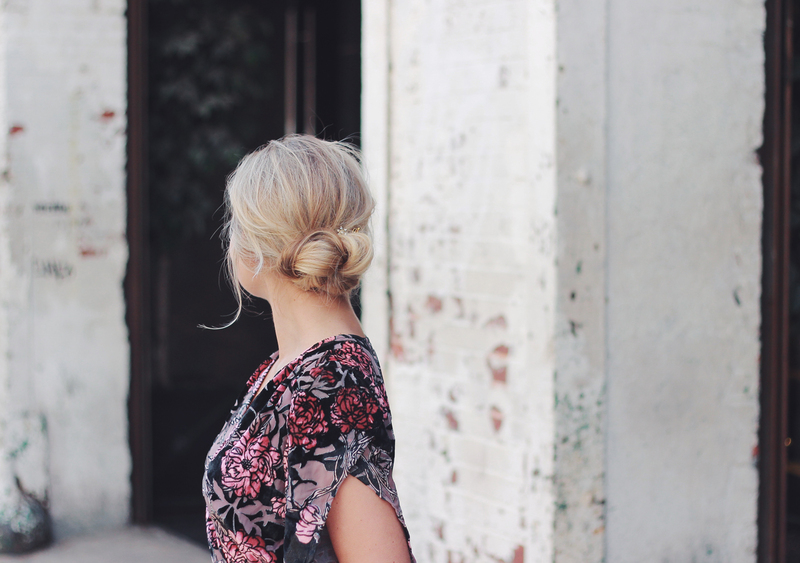 And maybe even recreating this hairstyle that’s so deceptively simple I swear even an amateur like myself can do it.